ASTHA BEEJ CO PVT. LTD. is a reputed business organization engaged in accelerating the growth of agro business through offering premium quality Seeds. Being one of major producers of Agro Seeds, we strive to support the agricultural development in rural areas. Our business motive is aimed towards giving maximum benefits to the farmers of India. 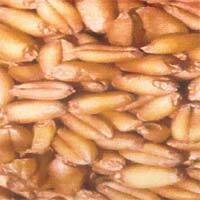 The different varieties of Wheat Seeds provided by us, are cultivated through organic process which ultimately assures high yield. Besides, our Agro Seeds exhibits excellent taste as well as health when used for culinary purposes. We provide Agro Seeds that are certified by Uttarakhand State Seed Certification Agency. Our Agro Seeds are available throughout India, especially Uttar Pradesh and Bihar. We are a customer centric organization and thus our business endeavors are intended towards offering maximum client satisfaction. To accomplish the same, we serve premium quality agro seeds at fair prices. With this, we also provide tips to increase the productivity like sowing seed on time, adding nitrogen and gypsum to the fields, using proper irrigational technique, growing vegetable pea, etc.